We want to show you our favourite Instagram accounts lately. We are big on following other interesting people and companies so the following below have been our go-to places to gather information and inspiration altogether. So here we go! You need to follow the Designboom Instagram account if you want the freshest news and updates on anything from architecture, art and technology. It is a digital publication with three world headquarters based in Milan, Beijing, and New York. With over 1 million followers on Instagram, Designboom brings all the freshest updates on the most beautiful and innovative must-see and must-know topics. Their feed is quite busy, filled with architecture inspiration, a lot of product design news – nature and technology blend with top news from the art world. You can really keep this account as a source of news to get inspired and educated. If you get hungrier to know more, go to their website and you can find a great number of pages loaded with interesting content including interviews, reviews, events calendar or open calls for design competitions. The most interesting section is called Product Library, where in specific sections, you can dig into design content and references. Want to stay up to date with tech news? 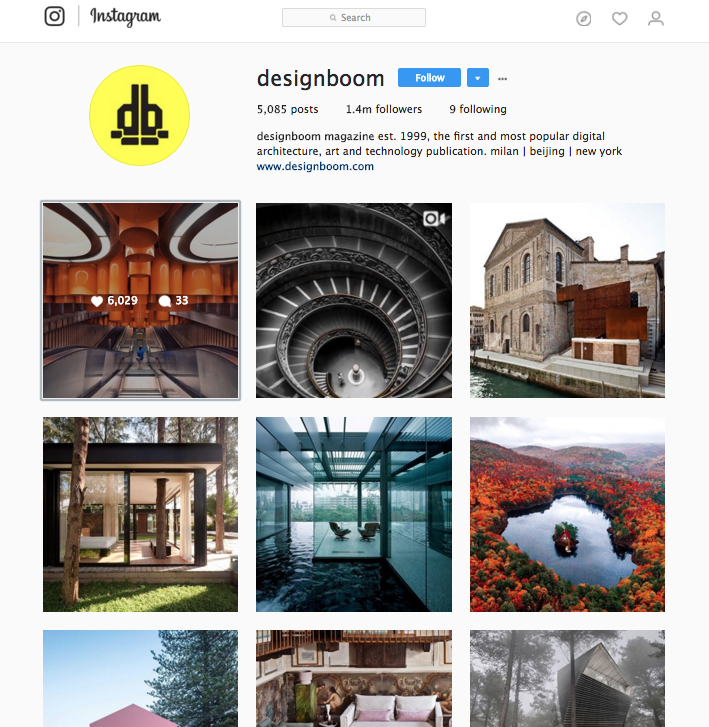 If you follow the Designboom Instagram account you will for sure know what new app or tech solutions are in. What is great about the Designboom feed is that through their visual stream you can find out about the coolest places and architecture projects in the world and perhaps get inspired for your next travel destination. Loving the simple things in life and in art? This Instagram account will match your taste perfectly. Minimalzine is an independent platform to share a minimal view on contemporary visual culture. It is from (the not so minimal) Barcelona. This Instagram account is a visual stream of what we can find on their website. It simply follows the rule of “less is more”. 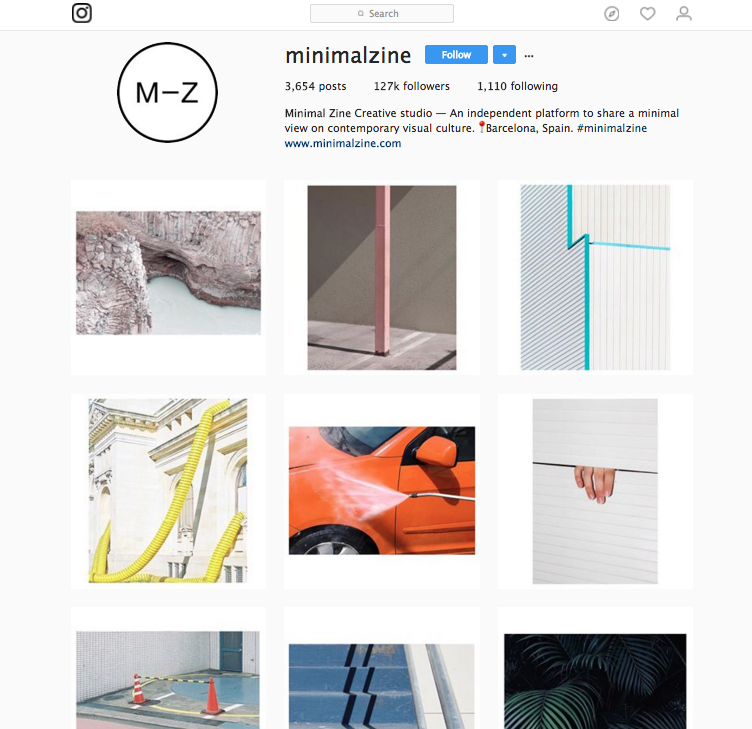 Minimalzine shares the work of international artists and photographers, who are invited to submit their creative work via email or by tagging Minimalzine. If you have something worth sharing with them – go for it! They have a lot of followers and are quite an active and popular Instagram account. It will not be a lie if we say that their main focus goes on architecture, but we can see a lot of other inspirations on their feed. Anything simple, clean, bright, geometrical, abstract are your key words to describe this feed. Often the cleanliness of the photographs Minimalizine shares surprises so much that we can even question if this is a photographic image or a drawing. They do a lot of take-overs by interesting artists and photographers so follow them now to see all their goodies. If any of you don’t know what VSCO is, you can find out more about their concept of creative community from their website. 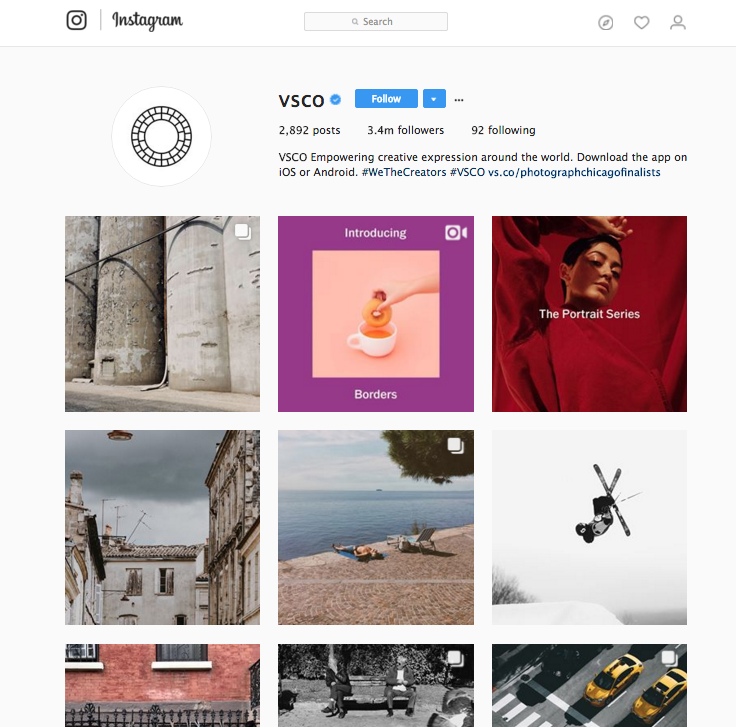 For all the VSCO users out there we recommend their Instagram account as a source of photographic inspiration and often good tips and lessons. VSCO shares photographs by international artists and always links their images to the author account: tagging and sharing – is caring. VSCO is based in Oakland, California and expresses their value of community throughout their social presence. In their Insta Stories we can often find out about their favourite photographers tips on colour settings and toning. 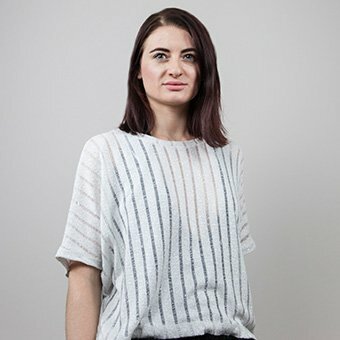 They literally give you an already tested recipe for the unique pre-sets you can apply to your photographs. We love the VSCO Instagram account for another reason – all the photographs they share are just a great mix of all types of techniques, styles, genres – so nobody is left out. You can really touch on and try on what VSCO stands for. Follow them! We hope you like our three suggestions and will follows these to get inspired on a daily basis. We would be happy to hear other names and discover new accounts! Let us know your favourites!